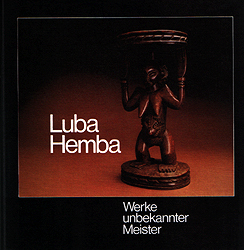 WERKE UNBEKANNTER MEISTER SCULPTURES BY UNKNOWN MASTERS. Hardcover. first edition. 162pp 22 x 22 cm, 114 b/w illus. of objects, 2 maps, biblio. Text: German & English. 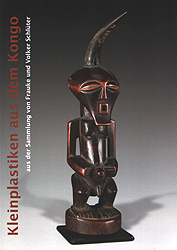 Series: Afrika-Sammlung 1. Arman (November 17, 1928 – October 22, 2005) was a French-born American artist.Born Armand Pierre Fernandez in Nice, France, Arman is a painter who moved from using the objects as paintbrushes ("allures d'objet") to using them as the painting itself. He is best known for his "accumulations" and destruction/recomposition of objects. Max Ernst (2 April 1891 – 1 April 1976) was a German painter, sculptor, graphic artist, and poet. A prolific artist, Ernst is considered to be one of the primary pioneers of the Dada movement and Surrealism. Ernst was born in Brühl, Germany, near Cologne. In 1909, he enrolled in the University at Bonn to study philosophy but soon abandoned the courses. He began painting that year, but never received any formal artistic training. During World War I he served in the German army, which was a momentous interruption in his career as an artist. He stated in his autobiography, "Max Ernst died the 1st of August, 1914." 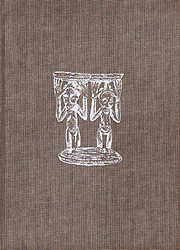 Ethnographie de l'Afrique noire. Exposition permanente "Culturas e Sociedades"
Arman (November 17, 1928 – October 22, 2005), was a French-born Americanartist.Born Armand Pierre Fernandez in Nice, France, Arman is a painter who moved from using the objects as paintbrushes ("allures d'objet") to using them as the painting itself. He is best known for his "accumulations" and destruction/recomposition of objects. Arman's father, Antonio Fernandez, an antiques dealer in Nice, was also an amateur artist and photographer, as well as a cellist. From his father, Arman learned oil painting and photography. After receiving his bachelor's degree in philosophy and mathematics in 1946, Arman began studying at the Ecole Nationale d'Art Decoratif in Nice. He also began learning Judo at a police Judo School in Nice where he met the artists Yves Kleinand Claude Pascal. The trio would bond closely on a subsequent hitchhiking tour of the nations of Europe. Completing his studies in 1949, Arman enrolled as a student at the École du Louvre in Paris, where he concentrated on the study of archaeology and oriental art. In 1951, Arman became a teacher at the Bushido Kai Judo School. During this time he also served in the French military, completing his tour of duty as a medical orderly during the Indo-Chinese War.